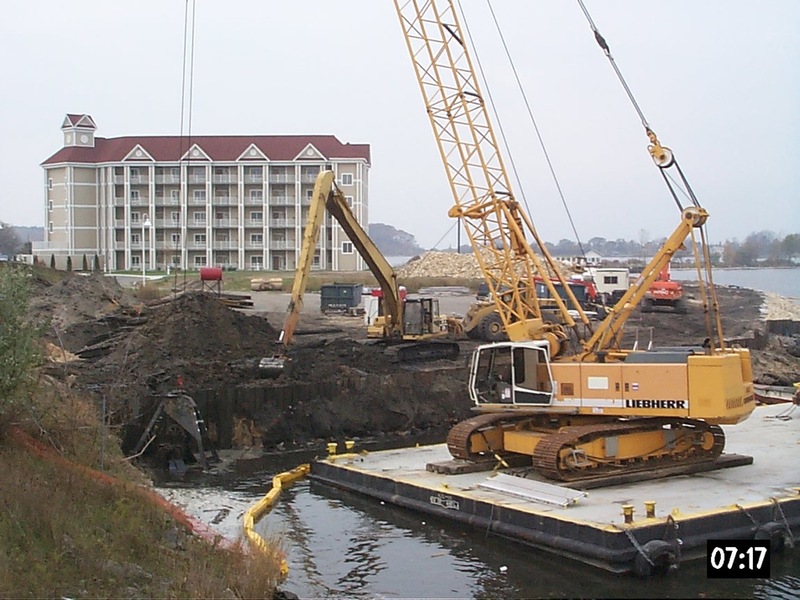 THE KING CO., INC. was selected by the Owner/Developer to provide marine construction services for the proposed marina and waterfront development. 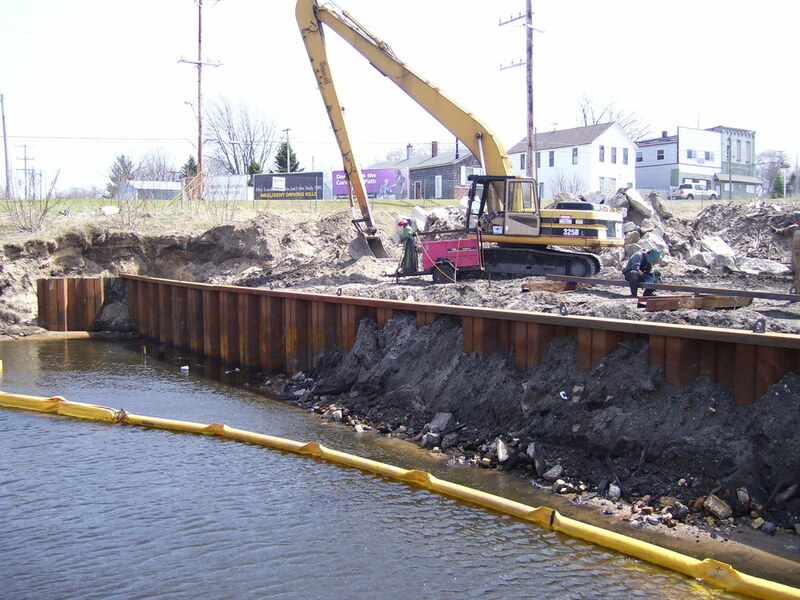 The project involved dredging and removal of over 19,000 CY of material and the installation of 1,300 LFT of limestone rock riprap revetment along the slope. 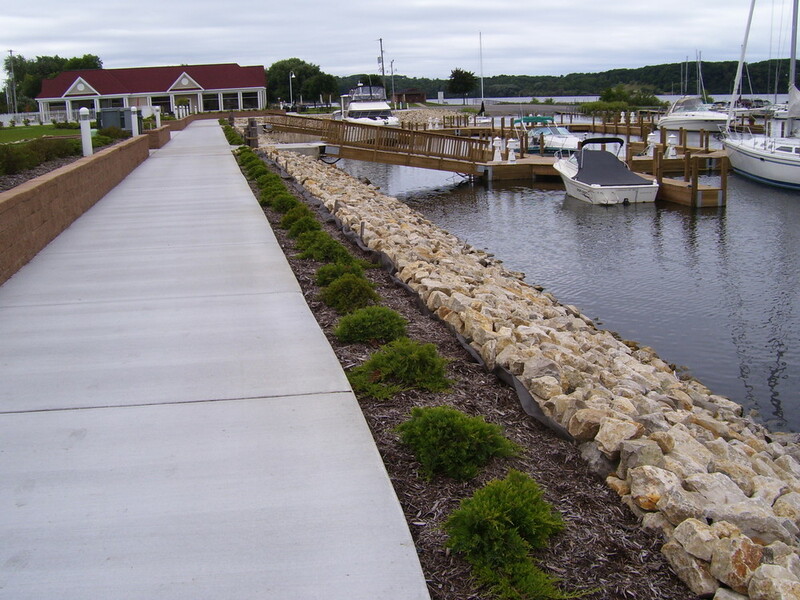 Over 9,000 tons of 18-inch diameter rock riprap was installed along the shoreline to depths up to 12-feet. 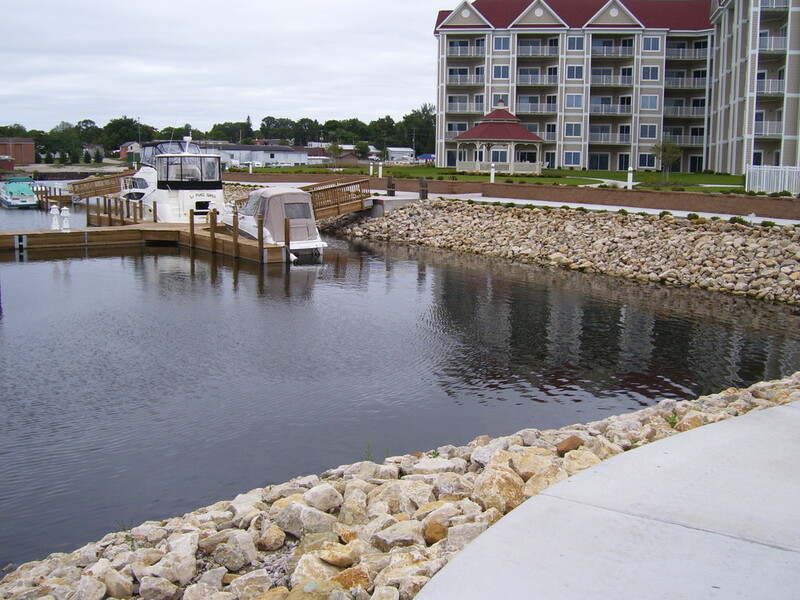 Floating docks were installed, attached to the shoreline boardwalk.